Our reservoirs have a capacity of 120-150 cubic meters of water per person per year. The UN considers regions with less than 500 cubic meters per person to be water stressed. Our electricity comes primarily from unsustainable coal, natural gas and nuclear power. Converting to renewable energy is a process that will take many decades, requiring more time than we have if we hope to avoid catastrophic climate change. Our landfills will be full by 2017. 40% of the garbage going to our landfill is food waste. Over 95% of our food is imported, the majority coming from the mainland. 70% of mainland surface water is polluted. The area of land contaminated by heavy metals has been classified a state secret. On the one hand we may feel overwhelmed by these facts, and the state of gridlock in Hong Kong’s political system may cause us to just throw up our hands. On the other hand, can we rely on bureaucratic governments, quarterly profit-driven corporations or ineffective NGO’s to solve these issues? Instead, can citizens band together to work on local, small scale solutions that may bring about the seeds of change? The government’s solution to our water deficit is to import water from the mainland. As economic growth on the mainland drives ever increasing demand for water, we will face greater competition for this water. The permaculture solution is to instead apply the ancient technique of rainwater harvesting. During the rainy season, water is collected and stored in tanks to be used when water is scarce. This gravity-fed system not only reduces the need for imported water but also reduces electricity consumption (4% of total electricity consumption globally is used to pump and treat water). To address our energy and climate change issues, environmentalists promote converting to renewable energy. However, due to factors such as the high water vapour content and pollution in the air, the efficiency of solar panels in Hong Kong is quite low. With limited land, wind farms would need to be located in the ocean, an extremely expensive proposition. Permaculture instead advocates energy conservation by designing and retrofitting buildings with passive cooling. These tried and true techniques include shading, insulation and ventilating hot air from the roof. These techniques can significantly reduce our energy consumption and CO2 emissions. The government’s solution to our impending garbage crisis is to expand the landfills and build incineration plants. Whereas, a local farm (O-farm), employing permaculture principles, converts food waste into fish food. The fish waste is then used to fertilise vegetables. This aquaponic system mimics nature by recycling food waste to grow fish and vegetables. Food waste is also converted into nutrient rich compost that is used to grow vegetables. Using these methods we can recycle nutrients and reduce the volume of waste sent to the landfill. The agriculture department (AFCD) and savvy businessmen have recognised the increasing consumer demand for locally grown food. The solution they are selling is hydroponically (water based) grown produce. This unsustainable system relies on chemical nutrient solutions that are made of mined elements treated with highly corrosive acids. Instead of working with nature, it seeks to control the environment with energy intensive climate control systems. Permaculture promotes the growing food forests by replacing ornamental plants with fruit bearing trees and bushes. It also advocates small gardens, where citizens can grow their own organic produce. Public spaces that are now maintained by landscaping firms can be converted into gardens for citizens to grow their own organic produce. This not only reduces our reliance on imported food, but also builds healthy, happy communities. These practical solutions advocated by permaculture practitioners empower citizens to take back their communities. While not a panacea, permaculture can be a way for concerned citizens to move forward towards a more sustainable future. 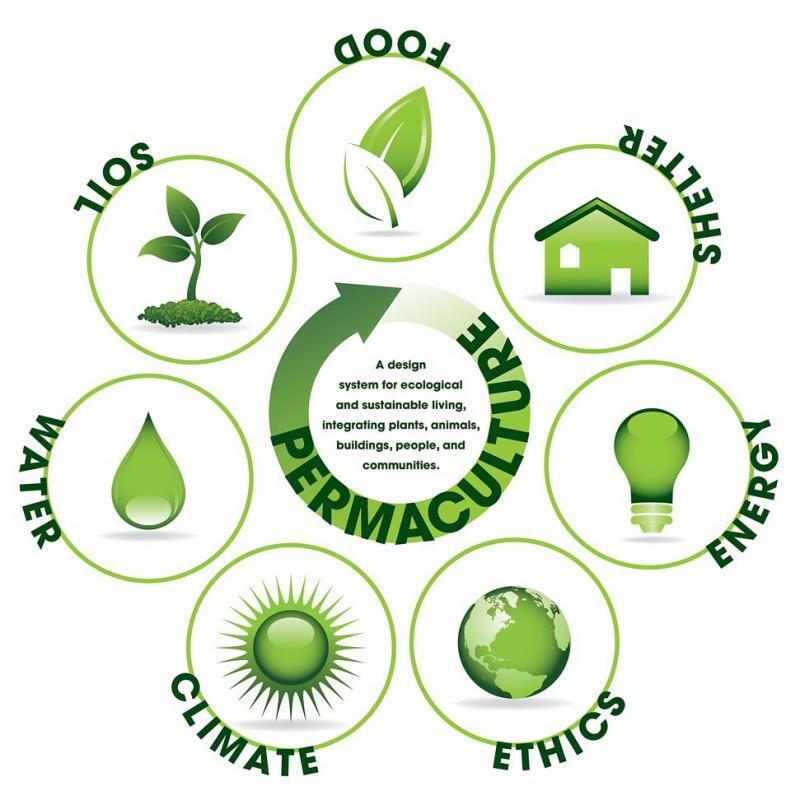 The Hong Kong Permaculture Institute offers the Permaculture Design Course (PDC) over 13 Sundays starting in October. The classes are taught in Cantonese. Hi I have a quick question about your blog. Could you please email me when you get a chance? Thanks! Previous Previous post: Technology is the Answer…or is it?